Did you know that this year is the second one in the row where we consumers are expected to run up credit card debt of $50 billion? It’s pretty clear that all of us need to cut down our credit card spending. 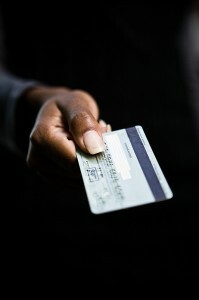 But here’s the surprise –credit cards could help you save money and cut down on your credit card debt. Here’s the first way this could work. Many credit card companies are actually now offering zero percent introductory interest rates and rewards bonuses of up to hundreds of dollars. These are usually called zero balance transfer rates. You could use one of these to get rid of your balances on the other credit cards and then pay no interest for a year or longer. A second way that your credit cards can save you money is by helping you avoid really wasteful expenses such as extended warranties and supplemental car rental insurance. A study from Progressive Insurance showed that the supplemental insurance offered by rental companies is purchased by 40% of consumers either some time when they rent vehicles or all of the time. Since this can run anywhere from $10 to as much as $20 per day, the cost of these plans can add up fast. Another study showed extended warranty plans are purchased by 31% of the people each year. This represents a lot of lost value for consumers. It’s probably not necessary for you to take supplemental car rental insurance or any extended warranties. All four of the major credit card networks have some type of extended warranty coverage and complementary car rental insurance. However, the quality of this coverage varies a lot from network to network. Visa has the best supplementary car rental insurance coverage while the maximum extended warranty program comes from American Express. However, it’s important for you to understand that there are some differences between the networks’ programs. If you want to maximize how much you save, you need to understand what these are. If you want to take advantage of rental car accident insurance as offered by your credit card, you must pay the entire cost of the rental with your card. This means you must turn down any supplemental policy the rental company offers you. Beyond this, there are five factors that determine if you will be covered. This includes the type of card you have, the kind of vehicle you rent, where you rent the car, the type of road on which you had the accident and the damage incurred. All four of the credit card networks will extend an existing manufacturer’s warranty for up to one year. However, this does not mean that everything you purchase will be covered. This will depend on several factors, including your card and what you buy. For example, none of the four networks will cover computer software, plants, buildings, motorized vehicles, etc. And only American Express will cover items you purchase that have been refurbished but still have with the original manufacturer’s warranties. Another important factor is the length of the original warranty. For example, Visa and Discover cover warranties that are three years or less, while MasterCard covers only purchases with warranties of one year or less. American Express covers items you purchase that have a maximum warranty of five years. Your coverage will also depend on how the item is damaged. If you have a product that was damaged as the result of a power surge, Discover, MasterCard and American Express will not cover it. Discover and MasterCard exclude what’s called “normal wear and tear.” This can be somewhat confusing. And MasterCard won’t cover physical damage done to an item or if lack of maintenance caused a mechanical failure. This all means it’s important to check out what your credit cards do and do not cover when it comes to rental care insurance and complementary extended warranties. However, all told you’ll probably find they include coverages that could save you hundreds of dollars a year.